It was a moment of awe, a moment I will never forget. It was a moment about Israel, not about the political tumult that often divides Jews, but about love for a country – and community. On Erev Rosh Roshanah, the associate rabbi at our temple, Temple Isaiah in Lexington, gave a sermon about the need for us – no matter where we stand politically – to find a way to connect to Israel. Maybe, she suggested, we could connect to its food, its culture, music, or dance. As the sermon ended, the cantor walked to the bimah. The pianist began to play, and the cantor began singing “Yerushalayim shel Zahav” (Jerusalem of Gold) by the late Israeli singer/songwriter Naomi Shemer. The cantor, her voice clear, confident, yet also gentle, sang the first verse in Hebrew. Unprompted, the congregation joined her on the refrain. Perhaps 1,000 voices filled the sanctuary with song. Our cantor, Lisa Doob, built emotion not just with the song, but through spoken word. She sang the verses in Hebrew. We joined her in the Hebrew refrain. Then she read the English translation of each verse of Shemer’s piece, composed in 1967 just before the Six-Day War. The song, according to an article on the Jewish Virtual Library website, became Israel’s second national anthem. 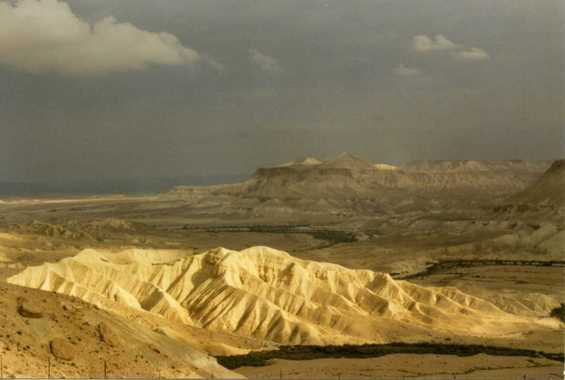 It expresses a love and longing for Israel, particularly its reunification. In our temple, as we celebrated the beginning of Rosh Hashanah, the song seemed about community, a community that suddenly seemed tiny on one of the most crowded times of the year. During the singing, our senior rabbi, Howard Jaffe, sang with his eyes closed and his voice forceful and emotional. Afterward, Rabbi Jaffe smiled and said to the congregation: I’m “verklempt.” Many of us laughed and nodded. Even those who knew no Yiddish understood what the rabbi was saying. He was overcome with emotion. So many rabbis, he and the associate rabbi told us, now shy away from talking about Israel because of the backlash from congregants. For a sweet extended moment, our congregation let politics go by the wayside. We sang about Israel. We expressed our love for the country that welcomes all of us to its shores. We together sang in Hebrew words that mean: “Jerusalem all of gold, Jerusalem, bronze and light, within my heart I shall treasure your song and sight.” My eyes welled. I too was overcome with emotion. I felt like a part of a community of Jews not just at my own temple but around the world. I sang, and I remembered. 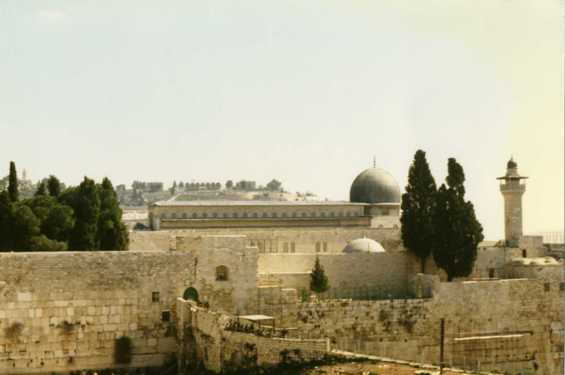 In 1997, on my first and only trip to Israel to date, I spent four days in Jerusalem. On my way to the Western Wall, I heard the strains of Jerusalem of Gold from a street musician. The man sat in a chair holding a portable keyboard, playing the tune I had only begun to learn at the time. I began singing the refrain in Hebrew, and exchanged a smile with the musician. We never spoke. We did not need to. The music was beautiful, the lyrics heartfelt. Jews the world over may not agree on the decisions made by powerbrokers in peace talks or during times of aggression, but on one thing, we appear to reach consensus: Israel and that ancient wall she carries around her heart must thrive. Photos in Israel taken by Linda K. Wertheimer during 1997 bike trip with the Mosaic outdoors group. This post originally appeared on the author’s blog, Jewish Muse, A Writer’s Blog on Faith and Family.